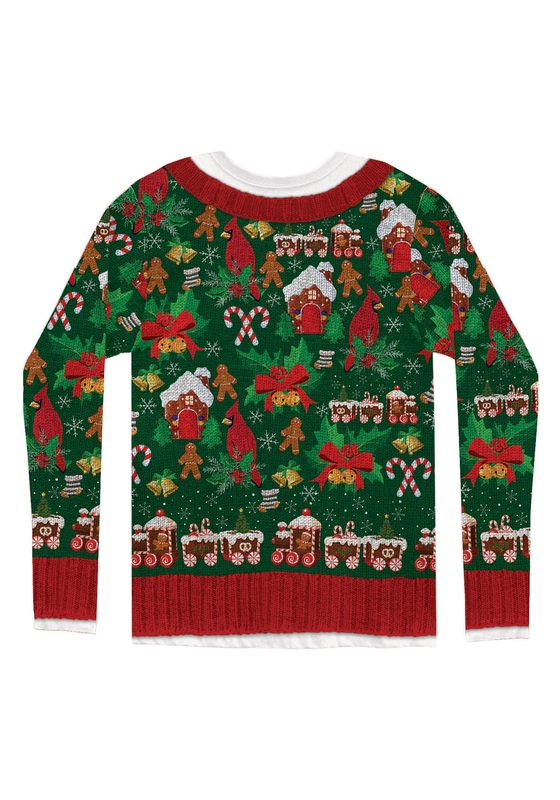 Do you know what makes for a truly epic "ugly Christmas sweater"? 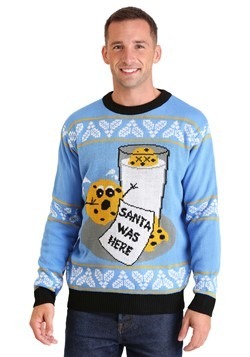 A lot of people think it involves no more than wearing a "retro" sweater that they stumbled upon inside of a thrift store. But there's so much more to it than that... like hideously clashing styles and colors, and a kitschy design made up of a dizzying kaleidoscope of themes, symbols, and characters. 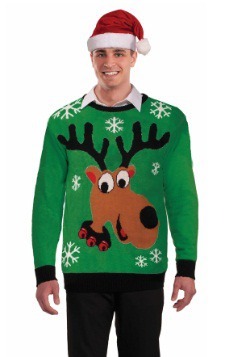 Like, Christmas overload. 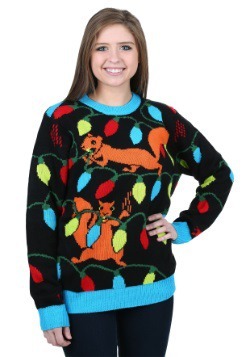 Few pieces combine all of these wonderful things in one garment. 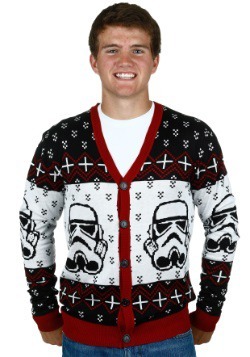 But you've found the one that does: this awesome Men's Ugly Christmas Cardigan! 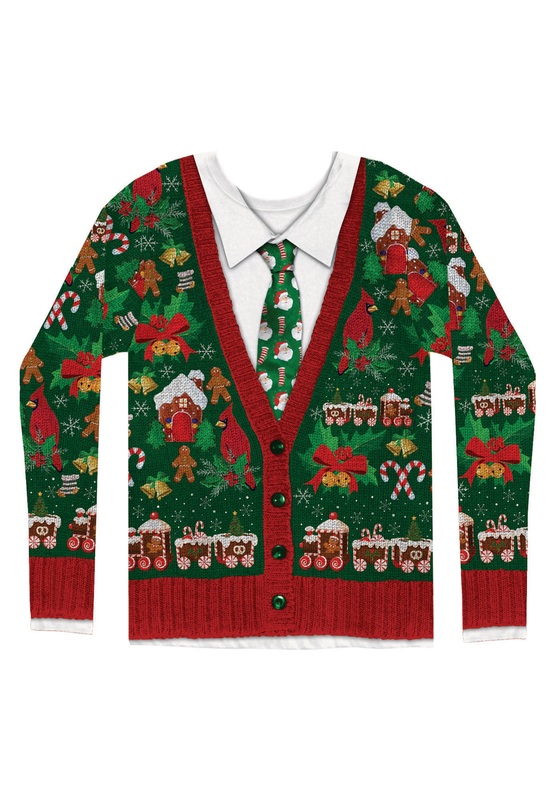 It's truly got it all – little Santas, stockings, ginger bread men, candy canes, and for some reason, cardinals perched on a mistletoe (to name just a few...). 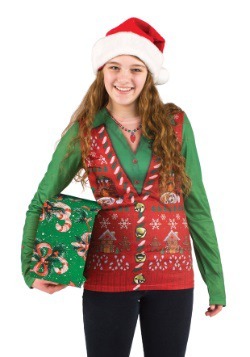 It's like Christmas exploded all over your shirt, which is precisely the point! 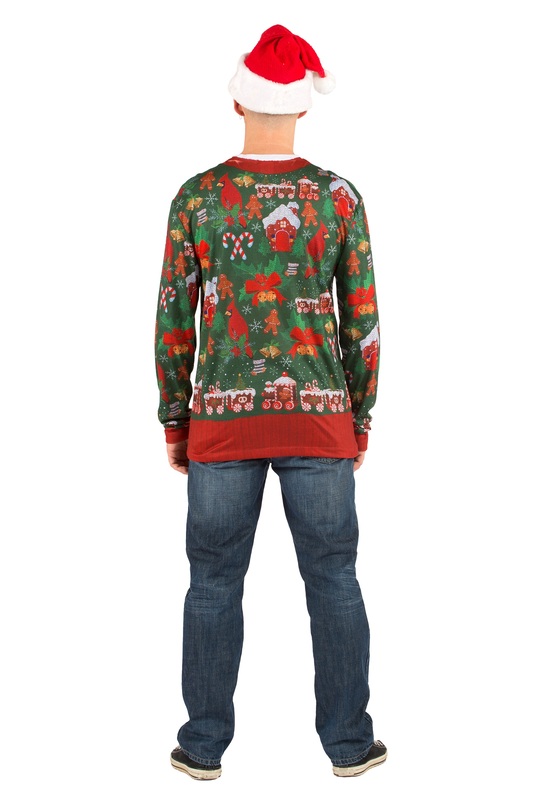 Perhaps best of all, it's not really a sweater, but actually a long-sleeve shirt with knit-style printing that makes it look like just a cardigan. 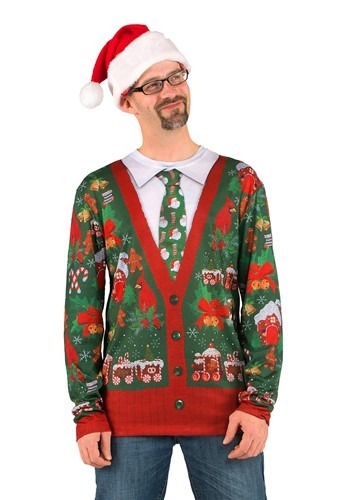 Because when you look this cool during the holidays, why not actually be cool? 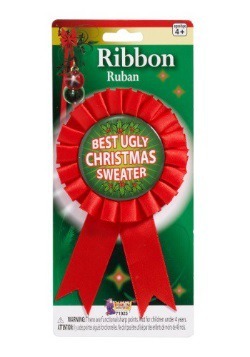 It's one of many reasons this cardigan shirt will make you the life of the Ugly Christmas Sweater Party!